When you’re making every inch count in your small space, it’s time to take a clear point of view. Think Lucite, glass and acrylic. 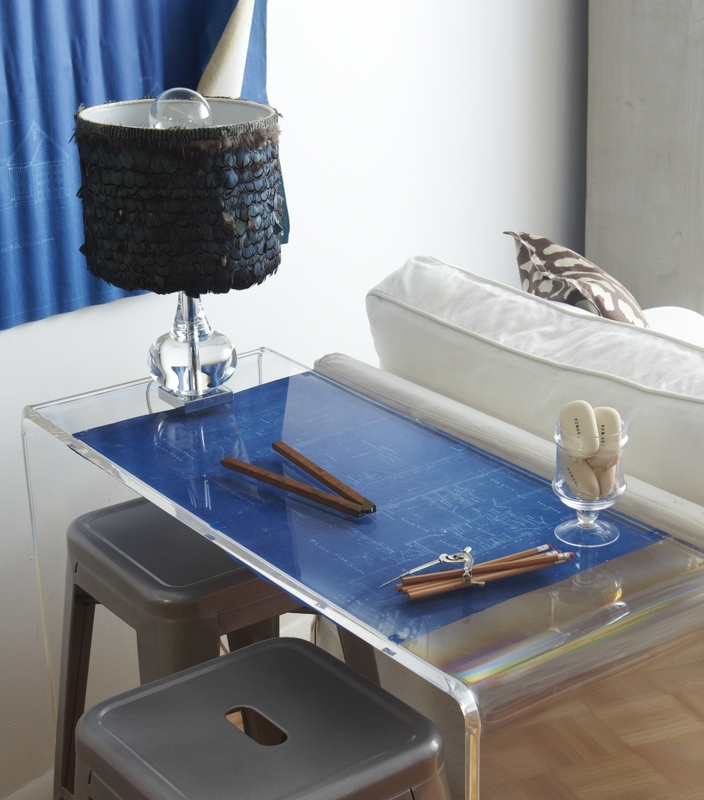 One of my favorite go-to places is CB2 for affordable acrylic console and coffee tables. I used one in my friend’s apartment as a desk for her computer, and it is thick and substantial and does not visually take up valuable real estate. And because it is “clear” and “space neutral,” it can serve double duty as a wet bar or buffet table when she hosts parties for friends and family. 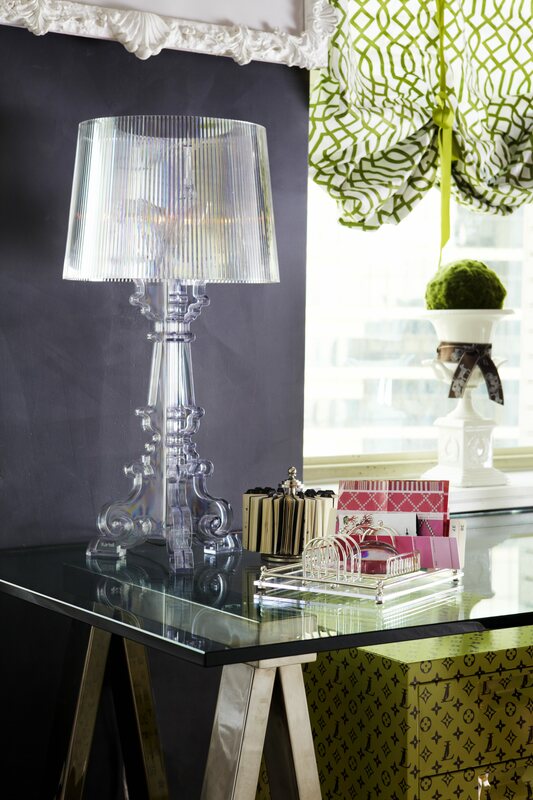 I accessorized her table with a French crystal lamp and a crystal paper weight. I have a six-foot glass desk in my tiny New York rental and because it is glass, it just seems to float in the room. I chose a big table lamp but because it is also transparent, it reflects the light in a beautiful way and doesn’t obstruct the lines of the table. 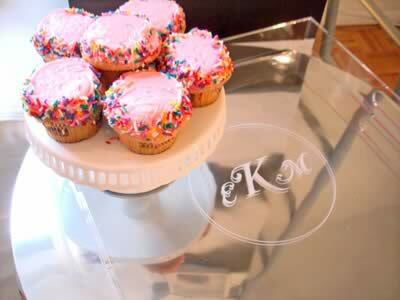 I also love Lucite trays that you can buy inexpensively and with an added engraved monogram, you can elevate it instantly to tray chic.